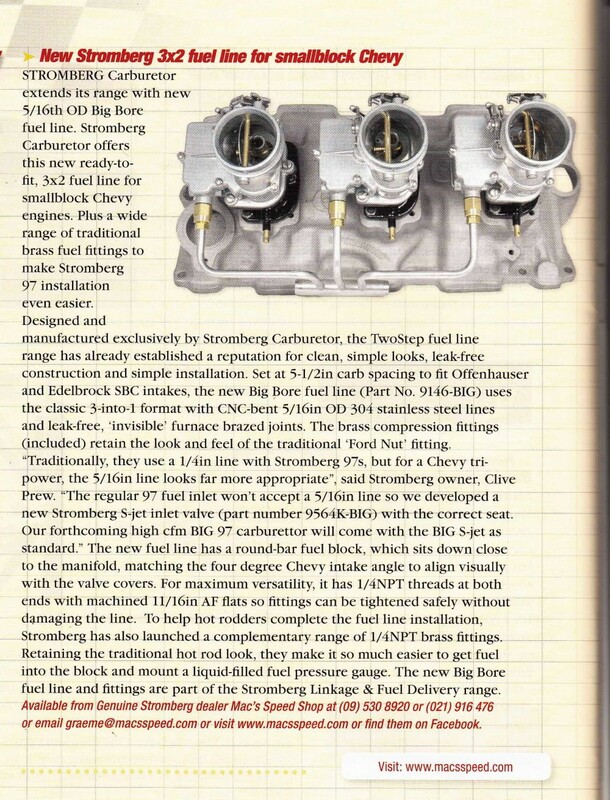 Hot Rod magazine in New Zealand were kind enough to run a piece on our new 9146-BIG 97 fuel line for the small block Chevy intakes – Offy and Edelbrock. Thanks! We’ve written a new ‘How To’ article, with clear pictures, for the Stromberg Tech Center on how to fit our new 9139K Throttle Shaft Extension Kit. 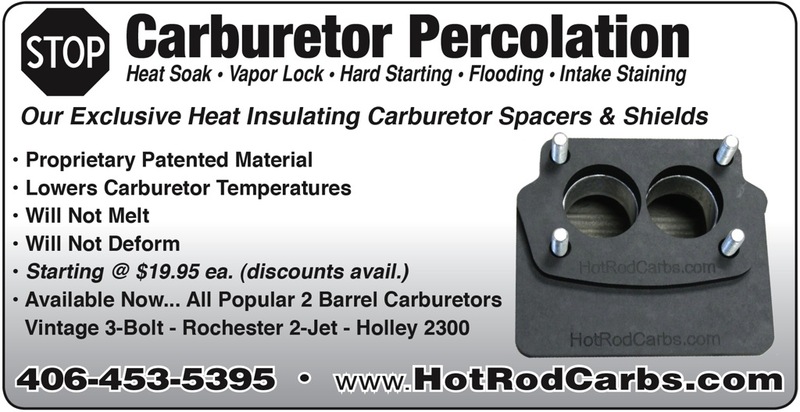 If you’ve got one of the old school 4×2 intakes that stagger the 97 carburetors close together, like the Weiand WC4D and Edelbrock CD-694, or if you have a new blower plate for mounting your 97s on top of a GMC-style supercharger, this is the kit you need. To download the ‘How-To’, just click here. We’ve also posted the pages below. 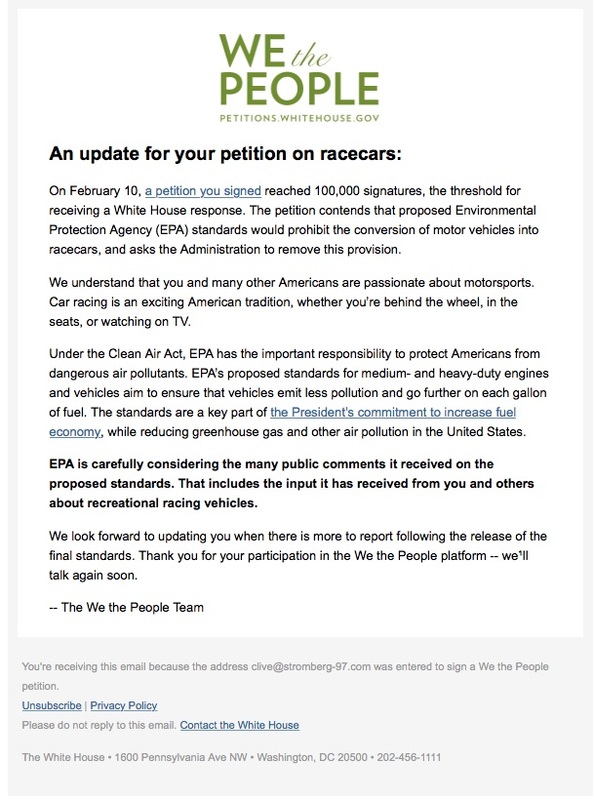 Click the first page below then click on the page to move to the next one. If you’re lucky enough to own the famous Weiand 4×2 WC4D Small Block Chevy intake, or the Edelbrock CD-694 for early Cadillac engines, we’ve just launched the product you need ­– an easy-to-fit throttle shaft extension kit with ‘trim-to-fit’ support bracket. If you’re not familiar with these intakes, they’re very narrow spaced 4×2 intakes where the carbs are so close together they can only be linked on one side – so you need long shafts for the right-side carbs. Most of the available blower plates are the same, as there’s very little room on top of a GMC-style supercharger. Our new kit (Part number 9139K) starts with a high-grade stainless steel throttle shaft extension, with a larger diameter section extending as far up the shaft as possible to resist twist in operation. For improved looks, it covers the 97 throttle shaft bush. And for maximum security and alignment, it’s fixed with a 3/32” roll pin (supplied) through the hand throttle mounting hole, standard on the end of every 97 throttle shaft. It’s long enough for up to 3-3/4” carb offset across the engine. 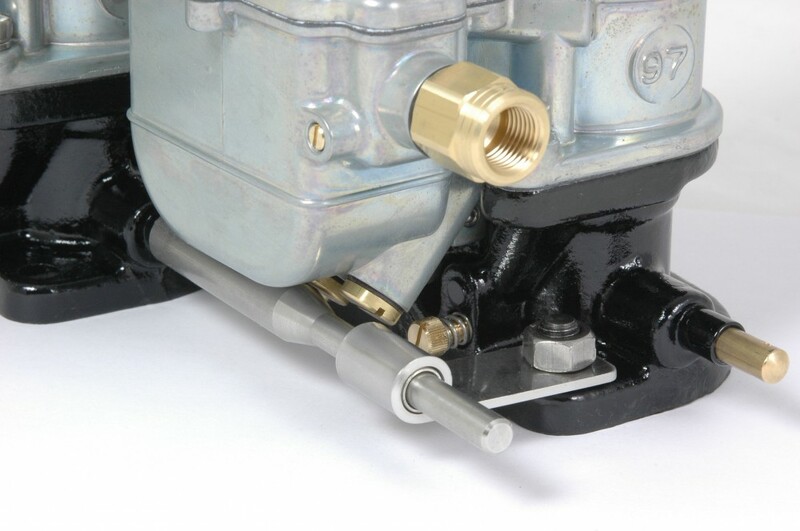 The stainless steel ‘trim-to-fit’ support bracket, with its PTFE-lined bush for smooth operation, accommodates up to 4-1/8” in-line offset between the two banks of carburetors – enough for all ‘known’ applications. Naturally, the kit works perfectly with all our other linkage parts so you can complete your linkage easily. Most of these intakes would use a simple direct linkage so you can just add four (or six) 9091K Superlink arms and join the swivels together with a length of 3/16″ stainless rod. You can pull it from your pedal with either a solid link to one of the stock carburetor throttle end brackets or use a cable with our 9136K Cable Throttle bracket. To view this kit on our website, click this link. Each kit comes with ‘quick-fit’ help in the pack, and full and detailed installation instructions are available via the Stromberg Tech Center at www.stromberg-97.com .